The Spin collection follows principles that reflect the utmost formal rigorousness and extremely clean lines. 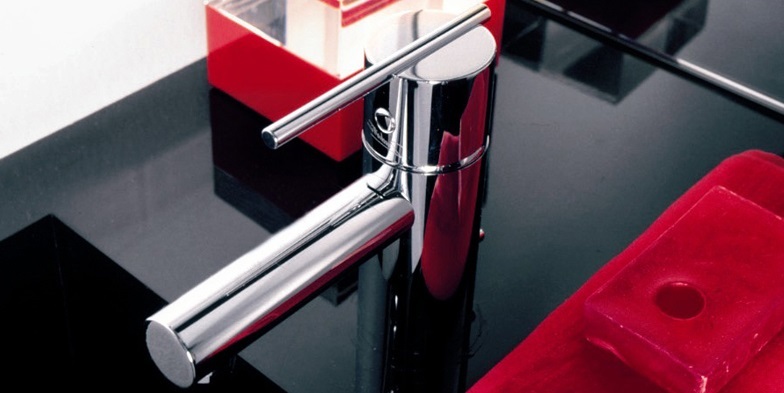 The result is a very fashionable essential single-lever mixer which adapts very well to the most modern bathrooms but which has also been selected to complete classical furnishings. Perfect cylindrical forms intersect to become the body spout and lever . . . in complete harmony with the philosophy that defines the bathroom as a place of pureness and wellbeing. The simple form of the thin lever seemingly placed upon the tap or mixer head gives a very Zen-like influence bringing perfect harmony to you Kitchen or Bathroom.